Radioactive wastes resulting from over 40 years of production of nuclear weapons in the U. S. are currently stored in 273 underground tanks at the U. S. Department of Energy Hanford site, Idaho National Engineering and Environmental Laboratory, Oak Ridge Reservation, and Savannah River site. Combined, tanks at these sjtes contain approximately 94,000,000 gallons of waste in a variety of forms including liquid, concrete-like salt cake, and various sludges. More than 730,000,000 curies of several radioactive isotopes are present in the underground tanks. Certainly, one of the greatest challenges facing the U. S. Department of Energy is how to characterize, retrieve, treat, and immobilize the great variety of tank wastes in a safe, timely, and cost-effective manner. 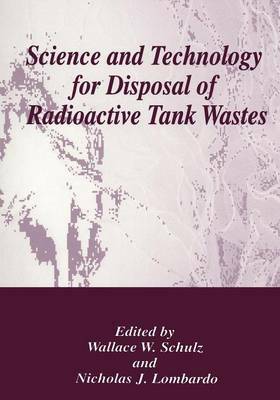 For several years now, the U. S. Department of Energy has initiated and sponsored scientific and engineering studies, tests, and demonstrations to develop the myriad of technologies required to dispose of the radioactive tank wastes. In recent times, much of the Department of Energy R&D activities concerning tank wastes have been closely coordinated and organized through the Tanks Focus Area (IF A); responsibility for technical operations of the TF A has been assigned to the Pacific Northwest National Laboratory.